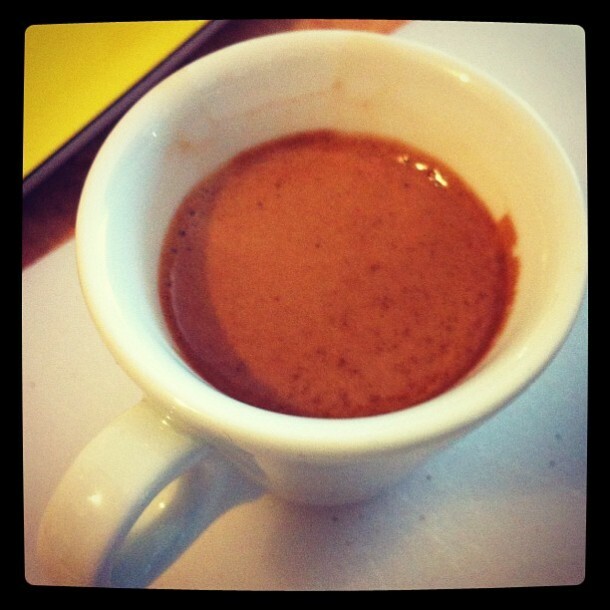 Every coffee geek has a moment where they fantasize about having cafe quality espresso at home. While the simple convenience of not having to go out to a cafe to have an espresso or cappuccino may be the deciding factor for some, there’s a subset of espresso enthusiasts whose goal is to achieve the mythical ‘god-shot*‘ at home by tweaking their machines, studying the science behind extraction, and perfecting their technique through (endless) trial and error. 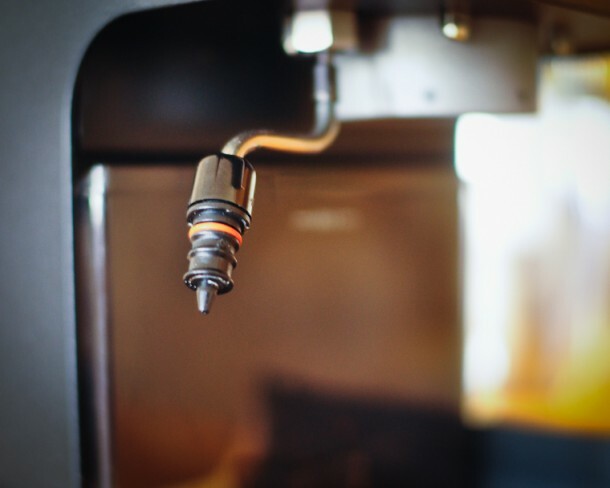 A great espresso, let alone a ‘god-shot,’ is hard to come by even in many above-average cafes, so one should have few illusions about what is attainable on a budget espresso machine. Nevertheless, many people are tempted to give it a try, and in fact you can get pretty decent espresso most of the time, and great shots occasionally. To get a sense of what that takes I’m sharing my experience with the Saeco Via Venezia ($299 ), a popular entry level machine that has gone through several generations and multiple iterations, once sold at Starbucks under the model name ‘Barista.’ It has a following among budget-minded home baristas tempted by its affordability and the ability to snag them on the used market for a bargain. My review is based on a review unit sent by Saeco. * The definition of the proverbial ‘god shot’ has evolved as tastes, knowledge, and consensus have shifted over the years, and as quality on the specialty side of the industry has seen a huge leap forward. The linked article gives you a sense of the coffee enthusiast community circa a decade ago, but today I doubt many would be talking enthusiastically about 1oz double ristrettos. This model coexists with a number of other Saeco manual espresso machines – the Aroma and Poemia – that seem to share the same basic internals. What sets the Via Venezia apart is a rather attractive case made of curved pieces of stainless steel, a larger water reservoir (2.9 liters), a nicer portafilter handle that has soft rubber and a nice heft to it, a decent sized drip tray with a small storage drawer on the bottom, and a steam-wand with a ball joint that allows it to move much more freely than other Saeco models. However, as you can see below, the plastic steam wand isn’t what you’d find on a higher end machine and doesn’t really allow you to produce finely textured micro-foam. Instead, it’s a small nozzle that connects to a large, hollow plastic wand. You end up with the classic merengue-like puff of tasteless milk foam you find at the worst diners and coffee shops. It may be possible to modify the wand using odds and ends from other espresso machines, including the old Starbucks Barista iteration of this machine that came with a more standard style wand, but that’s a challenge for another day. But can it really make good espresso? 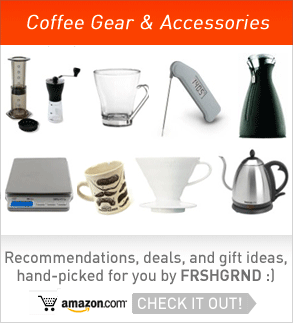 Yes – with quite a few caveats that apply to almost every espresso machine in this price range. Espresso is a fickle, finnicky beverage that requires a lot of adjustment to hit a small, constantly changing sweet spot. The best cafes invest a lot of money into controlling the variables that make this task difficult – from reverse osmosis filters to control water chemistry, to careful coffee sourcing and roasting, to barista training and expensive professional machines that offer temperature stability and pressure control. The Saeco via Venezia is meant for home use and sits comfortably at the entry level, designed for a mass market audience. As a result, it has a number of ‘convenience’ features designed for people who aren’t willing or interested in achieving the best espresso possible. In order to make things more accessible, a number of compromises have been made which amount to handicaps for those seeking a very good espresso. That makes it pretty hard to get a consistently good shot, and requires a lot of motivation to get even a decent shot. Saeco bills their machines as ‘no-tamp’ – meaning you’re supposed to just dose the old, pre-ground coffee (Illy, Lavazza, etc.) and then mount the portafilter to brew. And that’s fine if you’re okay with that flavor or if convenience is your overriding concern. This system works because of a pressurizer or “crema enhancer” installed in the portafilter. Without it, there would be very little crema and the coffee would resemble something akin to what you get from a moka pot (or worse). 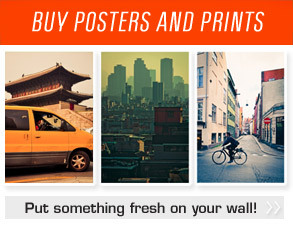 It’s the orange thing in the image below. We’ll be removing this because we, presumably, know what we’re doing and actually want to have control over how the coffee is extracted using freshly ground, recently roasted beans. 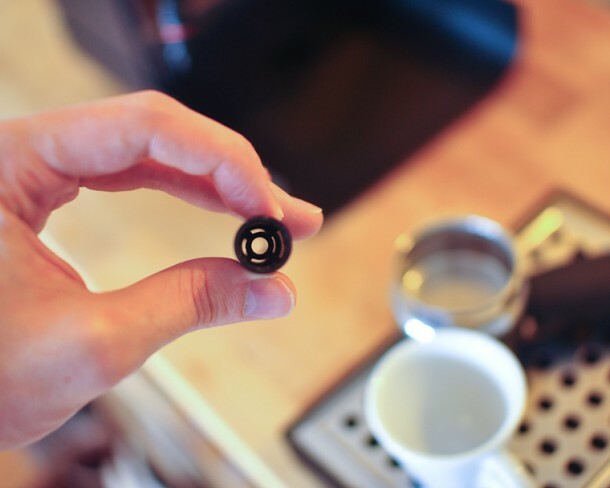 Removal is simple: unscrew the bottom of the portafilter, pry off the white plastic assembly, pop out the orange stopper, and then screw the base back on to the portafilter. See the photos below. It takes less than a minute and now the only thing restricting the flow of coffee is the grind setting you choose and how hard you tamp. Most entry-level machines have these pressurizers, but I can’t say for certain that they are all as easy to remove. Unscrew the bottom and pop the white plastic piece off. Pop the pressure gasket out (the orange-rimmed stopper). What else do I need to do to get a drinkable shot? Now that you’ve removed the training wheels, you’ll need to invest in a good burr grinder in order to control the flow of coffee, and thus the extraction. 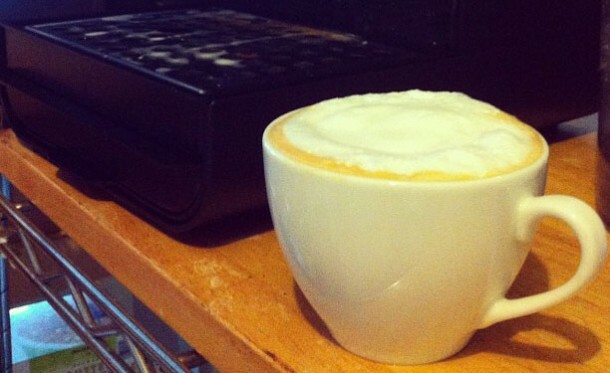 You should actually do this before you even think of getting an espresso machine. I used an old Baratza Virtuoso, but you’d be better served with the Baratza Preciso ($299 ) or Vario ($449 ) grinders that have a wider range of espresso adjustments. You can also invest in professional machines if you’re cool with taking up all your counter space. With espresso, constant minor changes in grind are needed to get the best extraction as the beans age day to day, and as you switch between different types of coffee and roasts. 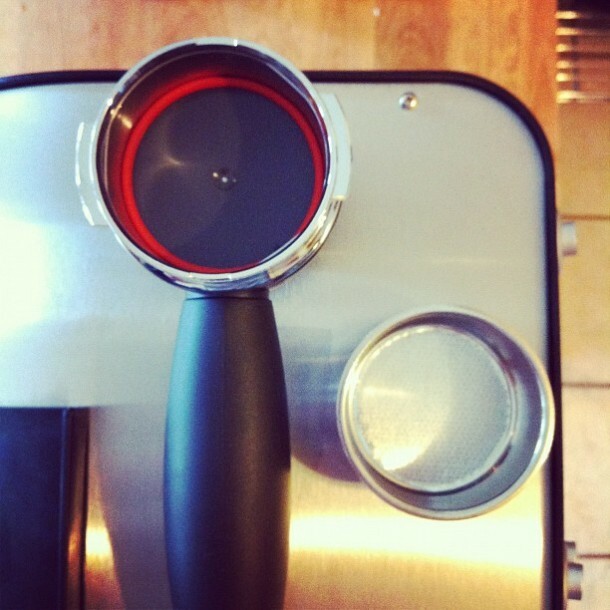 If your grinder has only a couple settings that work with espresso, you’re vastly limited in what you can do. If an electric burr grinder’s $200+ price tag is out of reach, you can get by using a hand mill like the Hario Slim or Porlex , but you’ll be spending several minutes per shot grinding – and if your grind is off, you’ll be doing this over and over until it’s on target. It gets old, fast. Additionally, you’ll have to buy a few things that aren’t included in the box: a 53mm tamper (I got this cheap one from Rattleware but do yourself a favor and get a more ergonomic one), a milk pitcher for steaming, and a knock box . If you’re just planning to make one shot at a time, you can get by using a sturdy mug for spent coffee grounds as the Venezia’s portafilter has a soft rubber handle that cushions the impact. A dedicated knock-box will, however, make cleanup and dialing in a lot quicker. Now that you’re ready to actually start pulling shots, you’ll run into a new problem – temperature stability. High end espresso machines, usually over $1000, allow you to set a desired temperature through a device called a PID. You can actually buy aftermarket kits to install one on your Saeco machine for greater control, though at that price you might as well just save and invest in a better macine to begin with. Without one, however, you’re going to have to get familiar with something called temperature surfing. The point of ‘surfing’ is consistency. You want to be able to hit the same, hopefully optimal, point on the boiler’s temperature curve, and then to adjust accordingly based on how your espresso shot tastes (in general, all other variables being perfect, bitter = too hot, and sour = too cool). More expensive entry level machines like the Rancilio Silvia have metal components usually made of brass that store heat better once they’ve warmed up, whereas a primarily steel machine like the Via Venezia can vary in temperature rapidly and requires a lot of adjustment, precision, and luck to hit the same temperature repeatedly. The only upside is that the machine warms up a lot faster than a Silvia, meaning you can start making coffee sooner if you’re pressed for time. In my own testing with the Via Venezia I had the best results by letting the machine warm up until the red ready light was on, then flushing water through the portafilter to heat it up, until the ready light turned off. This means the boiler’s heating element has turned on and is bringing the water back up to temperature. While waiting for the light to come back on, I quickly dose and tamp, and then when the red light comes back on I immediately insert the portafilter and pull the shot. If you find this to be too hot, you can flush some water to cool things down a bit before pulling the shot. Some users also suggest putting the machine into steaming mode and waiting for the boiler to hit steam temperature before flushing water briefly to bring it back down to brew temperature. You could get as convoluted as you like with temperature surfing, and may very well find a better method (post it in the comments if you have one!). 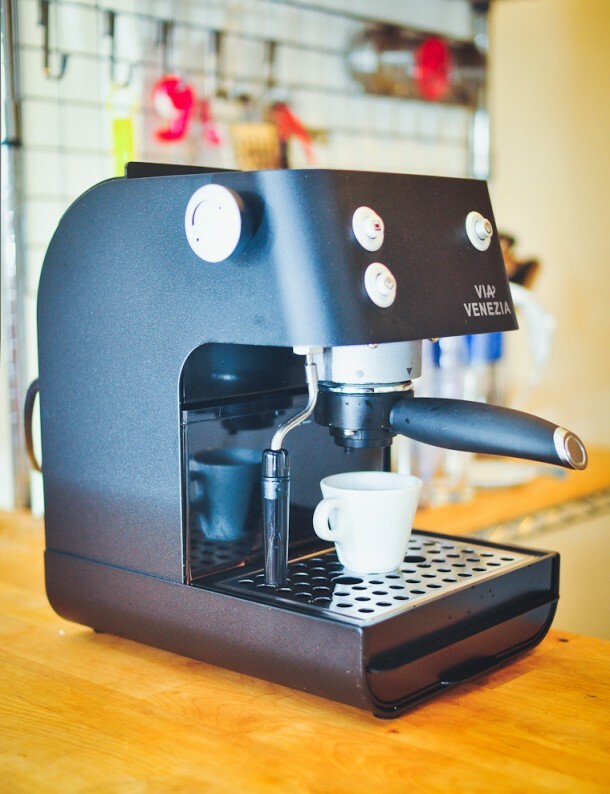 It may not be easy, but it is possible to get a pretty nice espresso using an entry level espresso machine like the Via Venezia. If I had been using a grinder with finer adjustments and had spent more time fine tuning my temperature surfing technique, I could get even better results. Even so, I had a few really pleasant espresso shots using Intelligentsia’s Black Cat blend, and even my average shots were better than most chain cafes. That said, if you’re accustomed to really great espresso at cafes of the sort featured here on FRSHGRND, you’ll probably find yourself more often frustrated by the results you get. If, on the other hand, you live in an area unserved by a quality focused cafe, you are willing to make compromises in exchange for espresso at home, or if the idea of mastering a difficult process on the cheap with your own effort and ingenuity sounds appealing to you, then by all means – consider getting one of these machines! 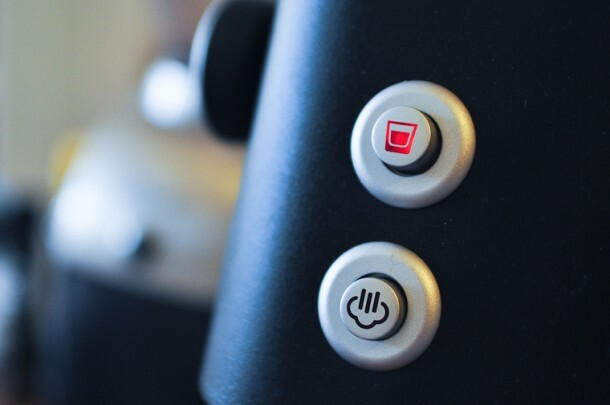 If you take the plunge, be sure to check out the Home Barista and Coffee Geek forums, where you can find other’s tips and ask for advice with this machine. P.S. – Given all the talk above about temperature stability, I should mention that there is a machine coming out soon worth watching, though it sits at a higher $500 price bracket. 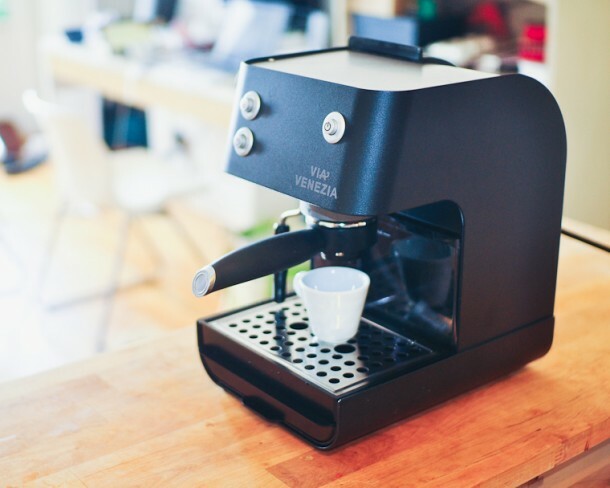 The ZPM Espresso machine, called the Nocturn, is a new design created by a couple of guys with a Kickstarter campaign. It’s aimed at the enthusiast market and comes with a built in PID and a new design that promises to bring many of the features of high end machines down to the entry-level. Worth keeping an eye out on that when it’s released, if you’re in the market. Hi, I see your review, and I think it’s very well done.. But I’m still waiting for the post about the steam wand mod. of this machine, I found something about on coffegeek but I leave in Italy and in my country doesn’t sell the starbucks barista’s wand. The question is, if there is someone who knows which wand of the other machine models (like gaggia, rancilio, ..) is right for the via Venezia machine..
Do NOT buy anything from this company. My brand new Saeco Aroma did not work at all and they will not send a refund or exchange it for another machine. You must send it back for 2 service visits and then they may consider a replacement. A very different approach to customer service. I second Padrino’s comment. Any news on how to modify/change the steam wand to get micro foam? 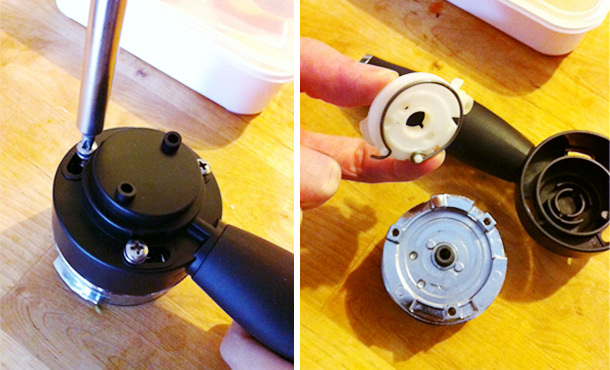 I recommend going to eBay and buying an old Starbucks Barista wand with the single opening (got one myself for $15) since it will screw right on. Put a post on their Facebook page if u can find it. That should get a response. Can anyone tell me when Depressurising do u leave out the black bottom plate with rubber ring/gasket once have taken the rest of the insides out.any help appreciated. You have to remove the bottom plate also. I’ve read that it is 53mm. After using a Starbucks espresso machine for 14 years, we needed a replacement. I drink a latte a day, and after about 2-3 months of getting decent foam, this machine’s wand failed. I now get a pitiful excuse for foam no matter what I do. We took it back to the store where we bought it (in Bellevue WA). They checked it out and said there was nothing wrong with it. Yeah, right. Unfortunately, we donated our old Starbucks machine so are not able to use it’s foam wand on this machine. I would never recommend the Via Venezia to anyone, especially if you want a good latte. Thanks for sharing you experience. Did you try reaching out to Saeco and if so did they help you at all? Nice review. I now have 4 nearly new Baristas and 1 nearly new Via Venezia. I got them all from Kijiji. Not because I needed them, but just because they were all great deals that I couldn’t pass up. People buy these machines, then don’t use them and just end up selling them cheap. Go figure. Regardless, I really like these machines. Even in standard pressurized form. I find them to be fine machines that do a great job brewing a simple, convenient serving of “ersatz” espresso. For “real” espresso, I have made some adjustments, as suggested by Aaron. I first bought a new Breville Smart Grinder Pro to match with my Barista. Then I purchased an unpressurized portafiler, rather than modify the standard portafilter. Once I dial in the grind, I get great pulls. The one big way I have deviated from Aaron’s approach is in regards to temperature surfing. I found it to be a hit or miss proposition. No consistency. So, I installed a thermometer in one of my Baristas (I haven’t used the Via Venezia as yet). It was very easy to install the thermometer. I took a standard cooking thermometer with a braided metal wire and probe. I carefully pulled out the wire, with the temperature measuring bead, from the probe. Then I used heat shrink tubing on the bead and installed it under a bracket next to the brew thermostat on top of the boiler. Works great. By purging water from the steam wand, and/or turning on the steam switch, I can adjust the temperature. 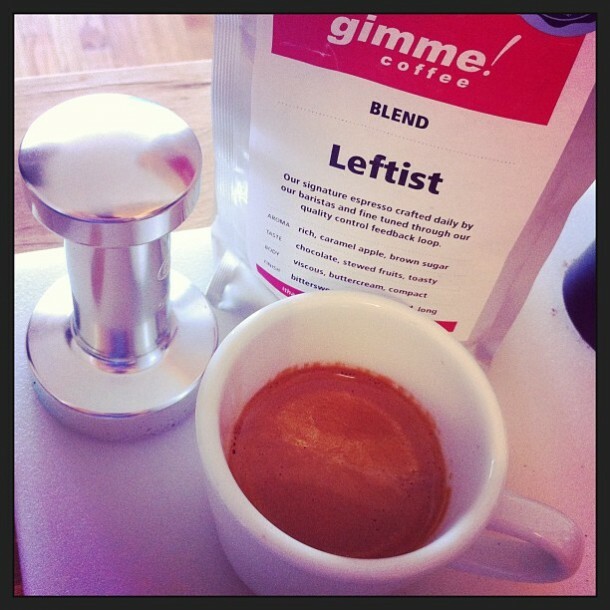 From practice, I find that when I adjust to 203 degrees Fareinheit, I get great espresso. Every time. As long as all the other variables are kept nearly perfect. One thing I should mention, the quality of the beans is the most important factor. I found a good local roaster that has a great variety and quality. Bottom line is that the Via Venezia, and the Barista, are great machines with results that can rival a Silvia. This review is so old, but this Via Venezia has been my machine for about 7 years and I still love it. In our home it’s used every day, usually multiple times per day, and it’s still going strong. It may not be high end, but as someone who frequents “coffee snob” places here in Seattle and considers myself a pretty experienced and avid coffee drinker, I’m happy with the espresso this machine puts out. No one will likely ever read this, but if you do and you’re looking for an entry level, look for one of these on Craigslist – you’ll be happy with it.